Edgartown technically lies on Katama Bay, and the image above is the entrance to this body of water. 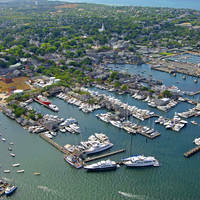 But most people refer to the section of water from the Edgartown waterfront to and to the northwest as Edgartown Harbor. 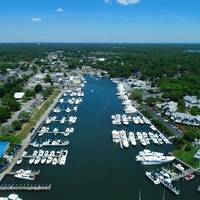 Inside the entrance to Edgartown are seven excellent marinas and an extensive mooring field - all in protected, deep water. 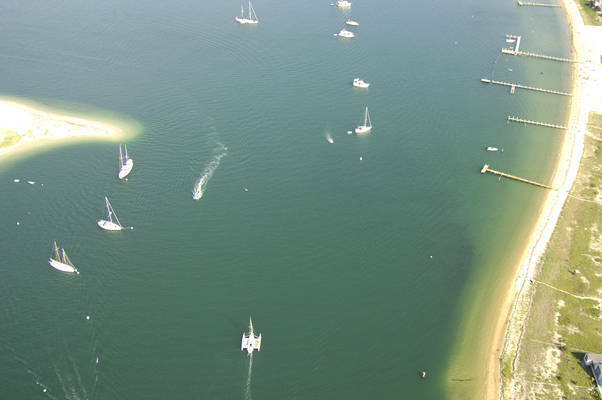 The image above is a view from the southwest looking northeast over the entrance to Katama Bay and the Edgartown waterfront. The small sand spit to the right (north) is Lighthouse Beach, while to the right is the long, sandy arm of Chappaquiddick Beach and Point. Off to the upper right and out of the picture is the Edgartown waterfront where a line of seven marinas is located. 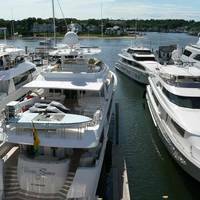 Of the seven marinas in Edgartown, five of them accept transient guests, and there are also moorings available for visiting boats. If you need fuel or repairs, theres only one game in town: Edgartown Marine. Edgartown Harbor is reached via an approach from the north through Nantucket Sound. From Nantucket Sound, first set a course for red nun buoy 2, which is located at an approximate waypoint of N41 26.272 W70 29.384. Additionally, the Edgartown Lighthouse (flashing red every six seconds) stands 45 feet tall above Lighthouse Beach and is an excellent guide in at night. 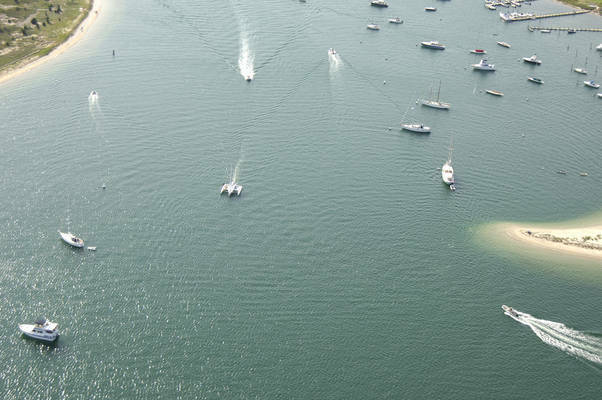 From flashing red buoy 6, set an approximate course of 222 degrees magnetic for about 1.4 miles until you reach red nun buoy 8 at the mouth of the entrance into Edgartown and Katama Bay. The rest of the passage in toward the Edgartown waterfront is unmarked, but the water is deep right to the shoreline in most places. If you maintain a position near the middle of the channel, you shouldnt run into any problems. No reviews yet! 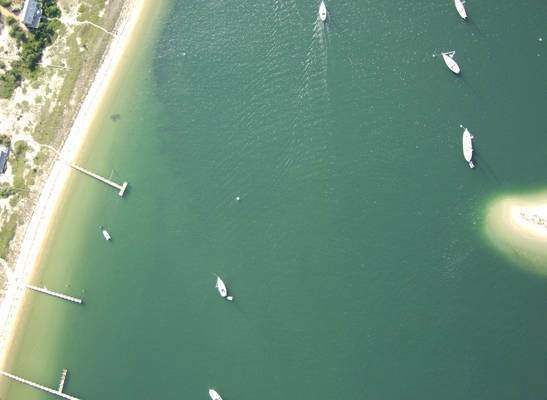 Be the first to write a review of Edgartown Harbor Inlet.